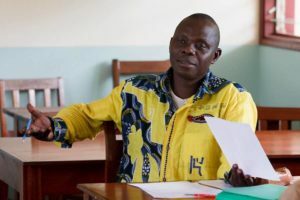 CENTRAL AFRICAN REPUBLIC – A Wycliffe Bible translator was gunned down last week during a deadly spate of violence in the Central African Republic. According to ACATBA, Zama was killed while trying to get his family to safety at a hospital compound in Bangui, the capital of C.A.R. In a statement released on Tuesday, ACATBA’s director requested prayer for their ministry and especially for Zama’s family. Though approximately 50% of C.A.R.’s 5 million residents profess Christianity, a coalition of Islamic rebel groups led a coup in March that threw the country into turmoil. According to reports, the Muslim minority has routinely looted buildings and raped victims, with over 600 people killed last week alone. Another ACATBA Bible translator was murdered less than two months before Zama’s death. Late last month, ACATBA reported that “unspeakable horrors” were continuing in C.A.R., with nearly 400,000 people displaced from their homes. Christians have been specifically targeted in several instances, according to witnesses. “Reprisals against Christians, in particular in Bangui, are of great concern,” a Wycliffe spokesman stated, according to Charisma News. “There have been … reprisals in certain neighborhoods of Bangui, resulting in thousands seeking refuge on the airstrip of the international airport. Following a recent United Nations resolution, French troops are occupying C.A.R., with the goal of reducing the rampant violence. Christians are hoping the French presence will restore peace to the war-torn country. Above all, ACATBA representatives ask Christians to pray for the safety of believers in C.A.R.